This listing shows you every single article in the Beer and Brewing Site! The articles are shown in date order, with the most recent articles on top. You can also use the search feature to search for something specific. These listings are shown 10 articles to a page. I had an Italian friend who once shared a fable with me. I’d like to share it with you ... Once upon a time, there was a snake who lived among the fall leaves, rocks and grasses in a large field by a river. This is where holiday magic begins; where generosity and sharing leap from the hands of the givers; and where dreams for the New Year take wing. We all love quick little recipes for our Thanksgiving Holiday. When it involves beer, our delight is that much greater, particularly when it comes in unexpected recipes. As a beer judge, I think a lot about taste, smell and the sensations we experience when enjoying food and drink. As I prepare to judge at the Great American Beer Festival, I am focused, even more intensely, on sensory perception and the factors that can change it. In its thirty-third year, the Great American Beer Festival opens a window into the nation’s ever-growing craft beer community, providing experiences in food and drink that expand the overall quality of life for those who experience it each year. 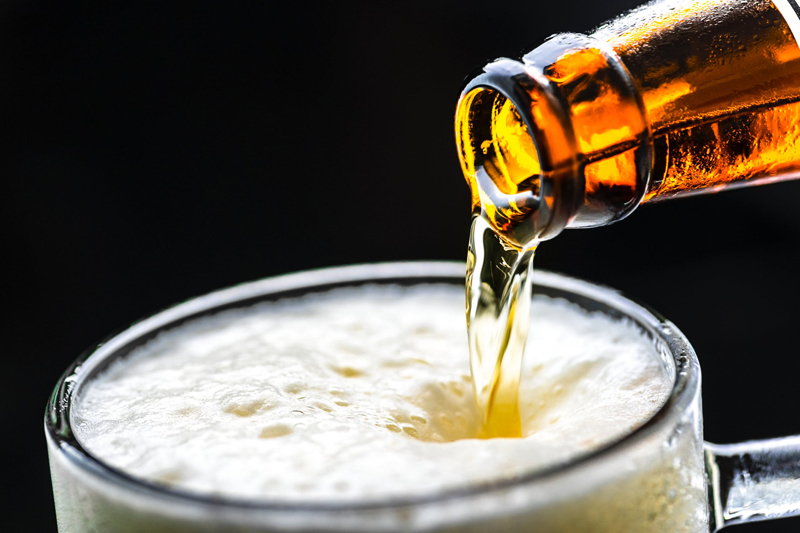 Whether you dispense beer at home or serve as a bartender, your chief aim in serving draught beer is to enjoy beer at the freshest it can be after leaving the brewhouse. An easy beer that quenches the thirst and snaps clean on the palate begins in the mind. When the quench is on, so is the brewer. In today’s British Isles, beer has shifted into a major dance since the early 1970s. Back then, beer had begun to take on the lightly-washed, fizzy character of mass production. When Jess Streeter won the 2014 Philly Beer Geek Championship on June 5th, she felt like explosions were going off in her head. The time and place suddenly took on a surreal quality, as if she was transformed into another dimension. As the Beer Fox and co- founder of the Philly Beer Geek Championship, I have the annual task of interviewing the stars of the Philly Beer Scene. In this interview, Jess Streeter, Philly Beer Geek 2014, reveals her innermost thoughts about the competition process. Beer enthusiasts the world over can share info on favorite brewpubs, great beer, beer lovers´ tours, styles of beer, homebrewing, and beer cookery. Subscribe for free weekly updates from this Beer and Brewing site.